Online caregiving support to relieve the stress and anxiety of caregiving and to solve caregiving problems is here with the click of a button. Welcome to Pamela’s FREE Caregiving Library filled with caregiving information and resources to help you manage caregiving and feel more in control. When life changes and you need care or you become a caregiver, you want to be confident that you are making the right decisions and the right choices. You want to be in control of your life and your decisions. The information on this website can help. You’ll find articles and caregiving resources on the main website and in the special access library in the membership area of The Caring Generation® FREE library. Check out the articles, podcasts, videos, and caregiving resource information on the website and sign up to gain special access to advanced caregiving articles and information. The membership library is now more user-friendly. Information in the 30 categories is easier to find. Articles are added on a regular basis to the member’s section. You are welcome to comment and leave suggestions about caregiving subjects that interest you. Hearing your caregiving concerns is important to me so that I can continue to be a trusted caregiving advisor. You can also check out Pamela’s blog where valuable articles are added weekly. Here’s a link to a recent post about Caregiver Burnout. Caregivers, aging adults, and care receivers you are not alone. The articles, podcasts, videos, and tip sheets in the library offer a proven formula to avoid caregiving mistakes. Don’t wait to sign up, this information can help whether you are a caregiver, an aging adult, or a care receiver. Pamela’s 20+ years of expertise as a court-appointed guardian, medical and financial power of attorney, as personal representative, trustee and as a care manager is a rare experience. My life experience with the loss of both parents, a brother, and a sister is also rare. Pamela is the caregiving expert who has been where you are as a family caregiver or an aging adult. She knows what happens. She has solutions. Her website, online programs, support groups, and information can improve your situations. Pamela offers valuable and proven solutions to caregiving problems. She has spent thousands of hours on the ground advocating for caregivers and older adults with hospitals, nursing homes, care communities, care agencies, and other providers. Caregiving is a struggle! You already know caregiving isn’t going to get easier. As the health of a loved one continues to decline, the challenges grow. It’s important to have an expert you can rely on to give you the answers and solutions you need. I’m here for you. As family caregivers, we don’t know what we don’t know. Before I became a caregiving expert, I made plenty of mistakes with my aging parents who passed away over 20 years ago. I can’t turn back the clock. I can help you avoid similar mistakes. Caregivers don’t know the right questions to ask. Small, but important details are missed. Unnecessary mistakes happen. Providers try to convince you that they know better than you about what a loved one needs. Not always so! Aging parents, spouses, and other family members receive substandard care. It is a daily struggle to care for a loved one and to coordinate care with doctors and other service providers. Frustrations can skyrocket when stress and anxiety become overwhelming. The poor quality of care in some situations is shocking. You already know the struggle. You live the role of a caregiver, day in and day out. Phone calls not returned, medication errors, health issues that seem to have no solution. Some days it seems like no one cares. The time to get help is now before you experience total exhaustion, frustration, and burnout. If something happens to you, who will care for your aging parent, spouse, or family member? Join the member’s only FREE subscription library today to relieve stress and find solutions. The secret to improving caregiving situations is to become more confident in your ability to fearlessly advocate for the care of a loved one. I’ve got your back. The role of a caregiver is one of a long list of roles and responsibilities that can feel overwhelming. Aging parents, spouses, and other family feel helpless and depend on you. They are afraid of what the future will bring. Having a plan for care helps relieve fear about the unknown. The stress and anxiety of caregiving can be relieved by online caregiving support programs. Many caregivers and care receivers feel immobilized and exhausted; unable to take action. Feeling frozen and unable to make decisions only results in more stress. The emotional and physical stress of caregiving will continue to build without support. All of the other worries: financial, not having enough time for caregiving, being afraid to ask questions, medical diagnoses concerns, and feeling alone can become easier with caregiving support. It’s up to you to take the first step. As an aging parent, spouse, or family care receiver, you may have lost all hope that there are any solutions to your present situation. Additional support for caregivers can be found by joining my Private Online Facebook group for caregivers, named after my book, The Caregiving Trap. Click HERE to join my private online support group. Taking action to move your situation forward is the way to make progress and relieve caregiving stress. You’ll find many of the answers you are seeking in the member’s subscription-only library. Online caregiving support groups, programs, and courses relieve the stress and anxiety of caregiving and help you solve caregiving problems and avoid unnecessary mistakes. Joining with other caregivers online group is another way to feel heard and share frustrations with other caregivers who understand. The information in The Caring Generation FREE library represents real situations from my 20+ years of being on call 24/7 helping caregivers and aging adults. You’ll find a wide range of caregiving topics and ideas, stories and interviews with caregivers, physicians, and healthcare policy experts from a wide range of backgrounds. By joining the member’s only subscription library you will have access to support and programs not available elsewhere. Join me today in making caregiving less stressful and to get better care for your loved one. You’ll also receive early bird access to new programs as they become available. 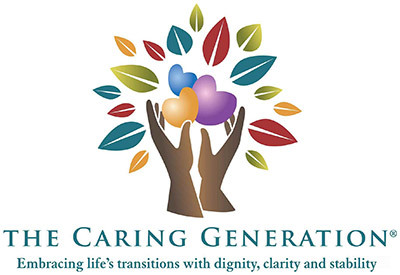 The Caring Generation store features Pamela’s book, e-books, the opportunity to schedule a consulting session with Pamela and other valuable information for caregivers.